A Guamanian winner for breakfast; not the healthiest but if you're like me and eat one decent-sized meal daily, a little is OK! Spread breadcrumbs on the bottom of the baking pan. 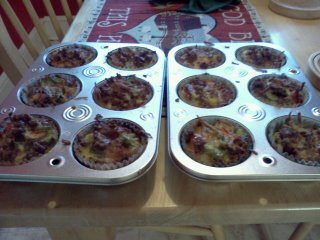 Mix together the cooked and crumbled bacon, onions, bell peppers, mushrooms, and corn; pour the mixture over the breadcrumbs. In a small mixing bowl, beat the eggs. Using a whisk, mix in the flour, butter, baking powder, and garlic powder. Stir in 3/4 cup of the shredded cheese. Pour the mixture into the pan. 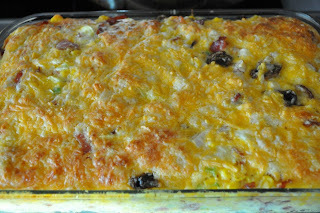 Sprinkle the top of the casserole with the remaining 1/4 cup of shredded cheese. 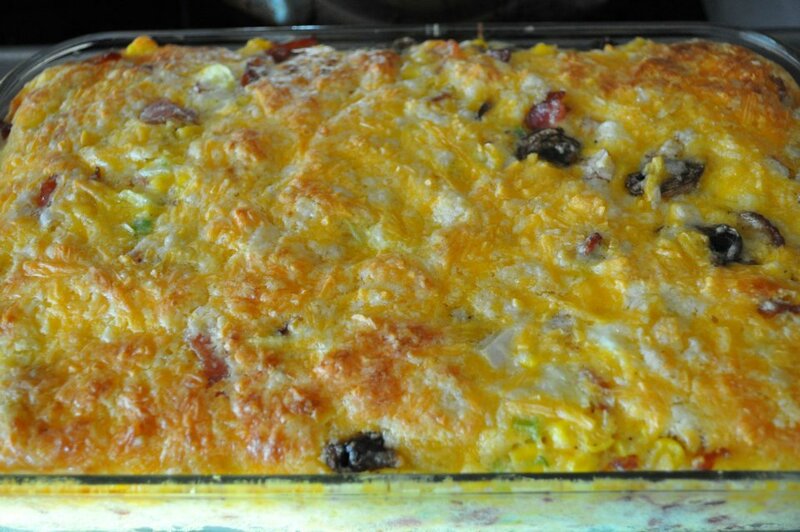 Bake for 60 minutes or until a knife inserted in the middle of the casserole comes out clean. Options: add sliced black olives to the bacon and vegetable mixture; also optional--serve with a side of salsa. Serve with salsa or hot sauce and a dollop of Greek yogurt.